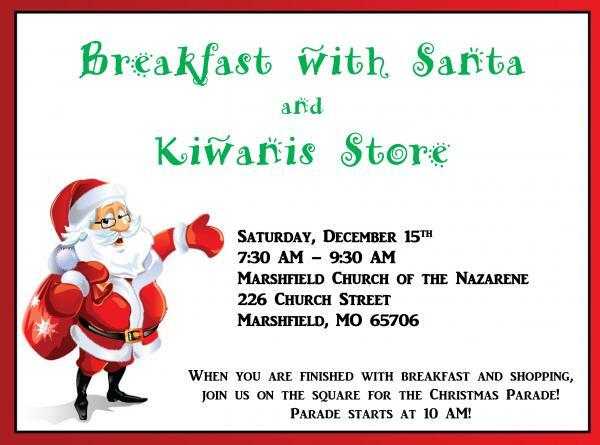 Join us for Breakfast with Santa! Bring your cameras for pictures. Free Christmas Craft Kiwanis Store - kids can shop for presents When you are finished with breakfast and shopping, join us on the square for the Christmas Parade. Parade starts at 10 AM!